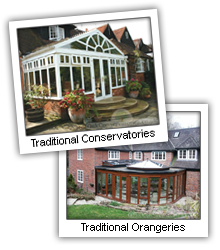 Richmond Oak provide a 10-year guarantee on the hardwood conservatories, orangeries and garden rooms we build. We understand that many prospective home improvement purchasers are concerned about losing their deposit or guarantee should the company they contract with cease trading. The difficult trading conditions during the past eight years have led to hundreds of home improvement companies going out of business, leaving thousands of homeowners with lost deposits and invalidated guarantees. This includes a number of substantial, established timber conservatory companies like Baltic Pine, Glass Houses, Priory Conservatories, Fawsley, Portland, Durabuild, Marston & Langinger and the oldest company in the industry, Amdega. Despite now having traded for 10 years, we also appreciate that as a prospective client it is natural you may not feel so confident as we are about our business and now we can provide guaranteed reassurance that purchasing from us is as safe as we claim. We understand our responsibility in this respect and during 7 years with our previous insurer we were certified as having a 96% satisfied customer rating improving to 100% during the last year. However, having re‐investigated the market, we have successfully negotiated improved insurance cover for all our client's contracts up to £200,000 in value. This covers all deposits of up to £50,000 or 25% of the contract price and our guarantee of up to 10 years, in the event the Company should cease trading within the guarantee period. The company providing the insurance, after a thorough vetting of our business, is Home Improvement Protection Ltd and you can check them out or contact them at www.hip.insure/. So whether you are investing in a small conservatory or a large orangery, you can feel confident your investment is safe. The insurance certificate says that in the event of the company ceasing to trade prior to the completion of the contract, the insurers will arrange for the completion of the contract by another approved HIP Member for the balance of the original contract price, less the 25% insured deposit payment already paid, or, refund the deposit paid. This unique cover is being provided to our clients to provide them with 'peace of mind' and part of our mission to deliver outstanding value to ensure you are one of our pleased clients.